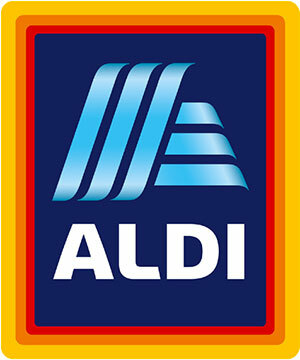 Aldi, the discount grocery chain based in Germany, will be coming to the new shopping center on U.S. 278 at Burnt Church Road. The Fresh Market was rumored to have leased the space, but Beaufort County Design Review Board has confirmed that Aldi will be the anchor tenant of the new shopping center. An opening date for the new Aldi has not been announced. 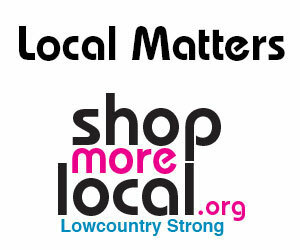 Other stores in the shopping center are Hobby Lobby, PGA Superstore, First Watch and Aspen Dental. Claude & Uli's Bistro in Moss Creek Village is under new ownership. The new restaurant will be called Savory Café Provisions and Vignau. Owner and chef Pascal Vignau received his culinary training in France and plans to change up the existing menu. A few Claude & Uli’s favorites will remain on the menu, like the seafood trays, souffles and filet mignon. 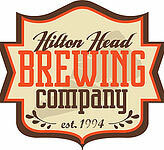 Hilton Head Brewing Company will feature new summer hours: the brewery will now be open from noon to 9 p.m. Monday-Friday and 2-8 p.m. Saturday and Sunday. The summer season also means new brews on tap. Arlene has tawny amber color, malty flavor and a crisp hop finish. Bean Free Black Lager is a medium bodied lager with a coffee-like aroma and minimal bitterness. Park Plaza Cinemas will now serve local craft and domestic beers in the Mann Cave. The theater will also serve concession food like hot dogs, flatbread pizza and more. Tour company The Daufuskie Difference now offers an evening “booze cruise” featuring unlimited beer and wine, live music and beautiful views. Tickets are $37 per passenger. The cruise on the 80-foot river boat “Delta Lady” departs at 5 p.m. every Friday from Hilton Head Island's Broad Creek Marina. 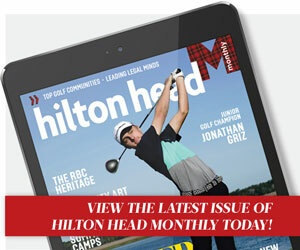 While passengers don’t disembark on Daufuskie Island, they see parts of the island from the boat, plus Harbour Town and other Hilton Head areas. Flowers are the colorful paint that decorates nature’s canvas. But their beauty goes beyond their bright petals — essences of honeysuckle, lavender and elderflower have been making their way into cocktails, foods and beauty products. Flower-infused cocktails are popular on the bar scene, and creative mixologists are mixing up cocktails with floral essences and infusions and garnishing them with delicate edible flowers for dramatic presentation. Happy hour is a Lowcountry tradition. On an island baked by the sun and surrounded by cool ocean waves, the entire day revolves around the moment we can cast off the shackles of the office and enjoy a nice cold drink in the sunshine. 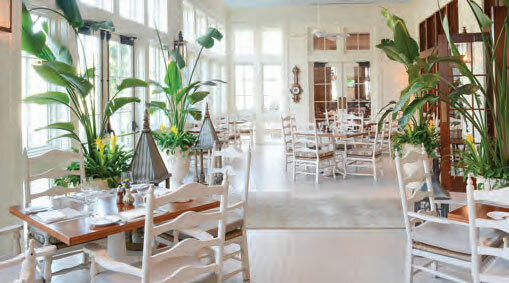 Montage Palmetto Bluff has a new restaurant: Octagon Porch, a new dining experience for locals and hotel guests. Located inside the inn, the menu features seasonally inspired Southern cuisine made from local ingredients. Breakfast, lunch and dinner are served by chef Anthony Guiliano, with wines selected by award-winning sommelier Jesse Rodriguez. With a new focus on Southern beers, Up the Creek Pub & Grill on Hilton Head Island is embracing the Lowcountry’s heritage. “We are thrilled to support the entrepreneurial Southern spirit with these refreshing brews," says general manager Jason Greninger. Now on the menu: Hilton Head Distillery’s Tropical Lager and Crab Pilsner, plus Southern Barrell Brewing Co.’s Damn Yankee IPA and Kick Back Black Lager. Other beers hail from Greenville, Charleston, and Ashville. The Cottage Café, Bakery & Tea Room in Old Town Bluffton recently changed its menu to include more fresh and local ingredients. Owner Leslie Rohland has added 15 new dishes to the breakfast, lunch and dinner menus. In addition to incorporating more fresh and local seafood, dishes will also feature seasonal local produce.